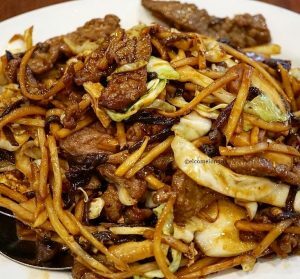 ***** DISH OF THE WEEK ( Sunday- 10/14/18- Kon Chau Chinese Restaurant). Trust Jeff Eats when I tell you- Kon Chau is one of the best Chinese joints in Florida! 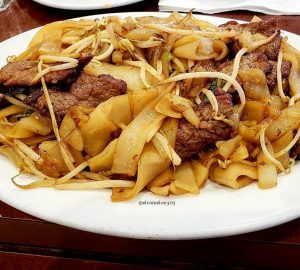 ***** Kon Chau Chinese Restaurant, 8376 Southwest 40th Street, Miami, Florida 33155, (305) 553-7799. No bs-here, it seems that everytime “people” learn that I am Jeff Eats they somehow end up asking me for the name(s) of good- Chinese restaurants! Not exactly sure why, but most everyone (originally from another state) that I meet, seems to think that the Chinese food in South Florida stinks! Just between you guys and Jeff Eats, I’ve found a “ton” of really good joints- but you guys do know that food “reviewing” is a totally subjective game! Last night Jeff Eats, Mrs. Jeff Eats and another couple ate dinner at Kon Chau Chinese Restauarnt. The food absolutely killed (and I mean that in a good sense)! I’ve done previous stories on Kon Chau Chinese (2/17/15, 11/30/08)! For our purposes let’s call today’s story A PUBLIC SERVCE ANNOUNCEMENT for all you cats out there in search of some seriously delicious really reasonably priced- Cantonese/and “real” Chinese food in South Florida! 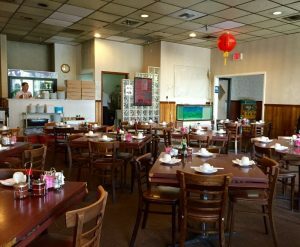 You can checkout Kon Chau Chinese Restaurant’s menu/prices/info at konchauchinese.com. ***** Kon Chau Chinese Restaurant, 8376 SW 40th Street, Miami, Florida 33155, (305) 553-7799. Let’s call Kon Chau Restaurant another “out of sight out of mind” casualty. Jeff Eats hadn’t been back- since I first mentioned the joint on 11/20/2008. Ate there last night and the food was off the chart…delicious wonton soup, pan fried dumplings, egg rolls, bbq spare ribs, sweet & sour pork, pepper steak, chicken fried rice! 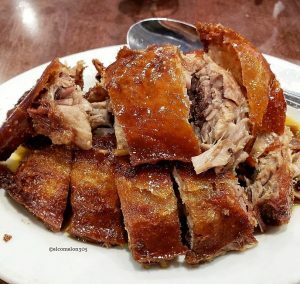 I know-I know, pretty straight-up Jewish Brooklyn American Chinese stuff circa 1957…trust Jeff Eats, Kon Chau got the full dim sum lineup and “real” Chinese food that you professional foodies require! No hesitation here- telling you that Kon Chau is right up there with Miami’s best Chinese joints. Original story is down below and you can check menu/prices/info at konchauchinese.com. Kon Chau is right up my alley… I’m going to guess that this “hole in the wall” amazingly cheap Chinese dim sum joint has been around at least 30 years. I am also willing to bet, that the furniture-decorations today are exactly as they were when the joint first opened. Now about the food…this joint makes some absolutely delicious dim sum and must have at least 60 items…Kon Chau also has loads of top notch Cantonese dishes, so everyone is covered and no one is going to go home hungry…an hour later, that may-be a different story! Anyway…if delicious Chinese food is your game, this is a real good joint to know about. Kon Chau is open Monday-Saturday 11am-9:30pm and Sunday 10am-9:30pm.